I love air shows. Big ones, small ones, local ones, military ones.. 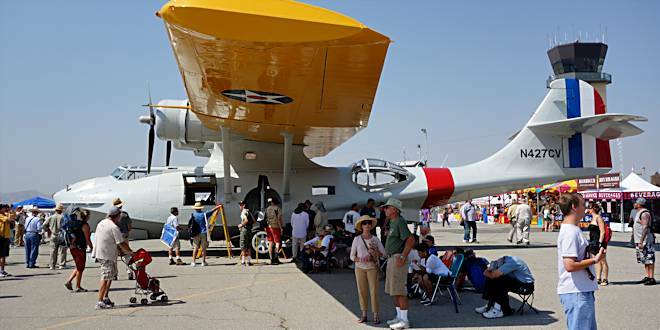 I love them all and try not to miss any, but there’s one that is always in the biggest, brightest, boldest letters on my calendar: The Chino Planes of Fame Air Show. Why? Warbirds, that’s why! 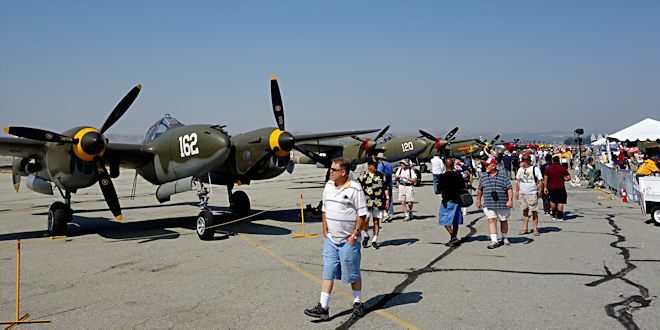 I like all kinds of aircraft, but I like piston-engine warbirds the best and the Chino Planes of Fame Air Show features the most complete collection of ’em that I’ve ever seen in one place. And they actually fly all the airworthy ones during the show. 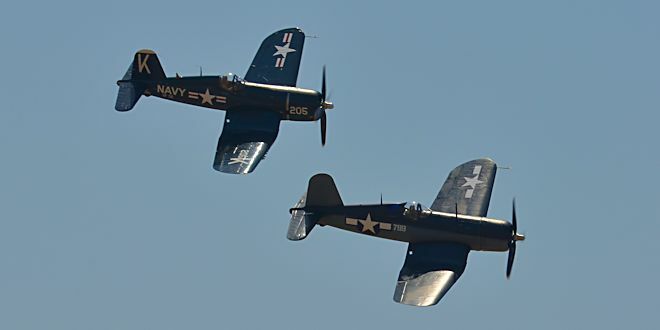 Some of the highlights of past shows include four P-38 Lightnings, three A6M Zeros, all the “cats” from the F4F Wildcat to the F8F Bearcat, A Focke-Wulf Fw 190, several versions of the P-51 Mustang, and many of the other US and ally fighters, bombers, and transport planes of the World War II and Korean War era, and most of those planes will be flying again this year. 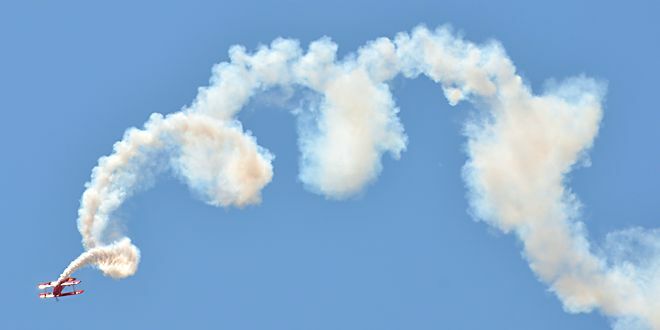 And Sean D. Tucker will be back with some mind-blowing aerobatics in his Oracle Challenger. 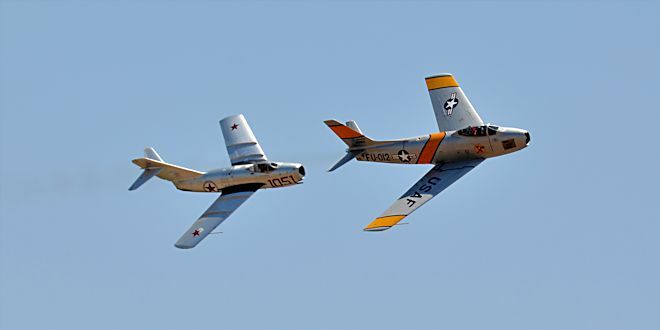 Other aerobatic performers include The Bremont Horsemen in their P-51 Mustangs, Clay Lacey in his “Special Ops” Lear 24, Roy “Tumbling Bear” Harrison in his Zlin 50 LX, Brian Sanders in his Hawker Sea Fury “Argonaut”, and John Collver in his North American AT-6/SNJ “War Dog”. Of course there will also be lots of interesting aircraft on static display and plenty of exhibitors and vendors.